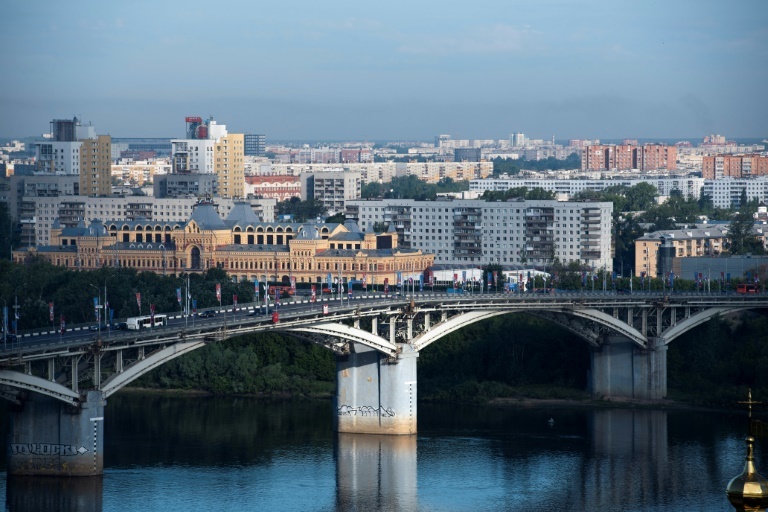 Nizhny Novgorod, a World Cup wonder or white elephant? 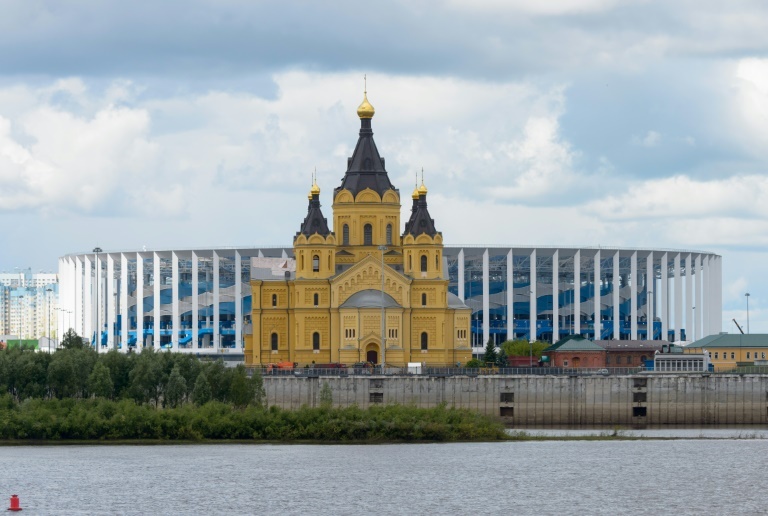 Nizhny Novgorod Stadium, a beautiful, gleaming $290 million (250 million euros) venue, makes its World Cup bow on Monday, playing host to South Korea and Sweden in a Group F clash. Perched close to where the mighty Volga converges with the smaller River Oka, the enormous blue and white structure stands next to the 19th century Alexander Nevsky cathedral. The ultra-modern 44,899 capacity stadium stands as a symbol of Russia's successful bid to host football's biggest tournament but also one of its major concerns -- what happens to the venue when the World Cup circus moves on? "No white elephants, nothing unneeded, nothing superfluous, everything will be put to use for Russian citizens in the coming years," Alexei Sorokin, Russia's World Cup organising committee chief told AFP in the run-up to the tournament. Quite what Nizhny's stadium will be used for after July 6, when it hosts a quarter-final, is unclear. 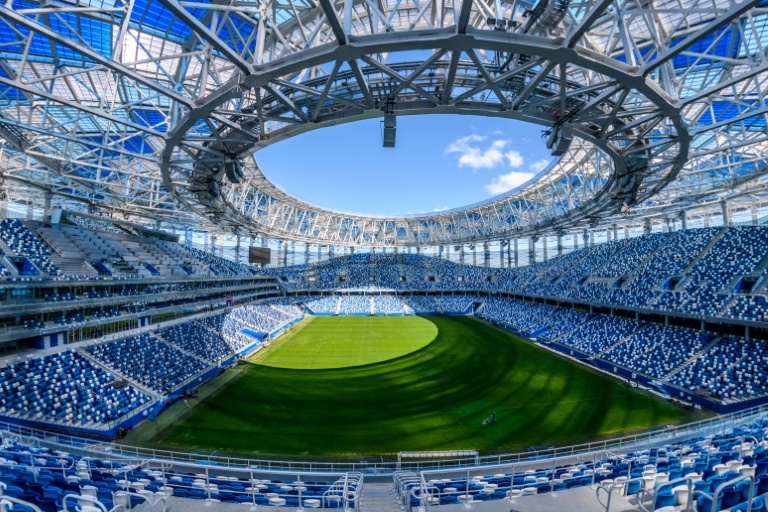 The city's football team, Olimpiyets Nizhny Novgorod, which will inherit the stadium, plays in Russia's second tier and averages little more than 5,000 fans per game. Spend a little time in the city and it is clear that Nizhny sports fans are less passionate about local football than ice hockey and the fortunes of Torpedo Nizhny Novgorod. Asked if he was excited about the World Cup coming to town, one taxi driver shyly admitted he preferred "hokkey" -- ice hockey. Another, Sergei, recounted the recent Winter Olympics men's final -- which Russia won -- and laughed at suggestions that runners-up Germany might have triumphed. On football, he was less effusive. Torpedo, a source of local pride in a city once closed off by Soviets and called Gorky, were the first ice hockey team outside Moscow to finish in the national league's top three, in 1961, and challenged the capital's clubs regularly in the early 1980s. White elephant football stadiums are a touchy subject for any host nation and FIFA amid the bloating costs of staging a World Cup. Following Brazil in 2014, there were numerous reports of stadiums that were no longer used once the tournament ended. The hosts in 2022, Qatar, with a population little more than double that of Nizhny Novgorod, has been at pains to show how its stadiums will be used after the World Cup. One will be partially converted into a hotel, while another made from shipping containers will be packed away and rebuilt in another country. Nizhny is not the only Russian city where there are fears of stadiums standing empty and rotting after the World Cup. In Sochi, where Portugal played Spain on June 15, an impressive 48,000 stadium has been built, with its shape said to echo the mountains that surround it. But the city had no football team until a second-tier club moved to the Black Sea resort this month from Saint Petersburg. Another second-tier side, Rotor Volgograd, will inherit a 45,000 World Cup venue, 40,000 seats more than its average crowd will need. Sorokin was insistent everything built for the tournament would have a long life and "nothing was built specifically for the World Cup". Sergei, the taxi driver, was less emphatic. Asked what Nizhny Novgorod Stadium could be used for, he shrugged his shoulders. Maybe converted into a ice hockey stadium? "No, no, no," he said with a giggle.